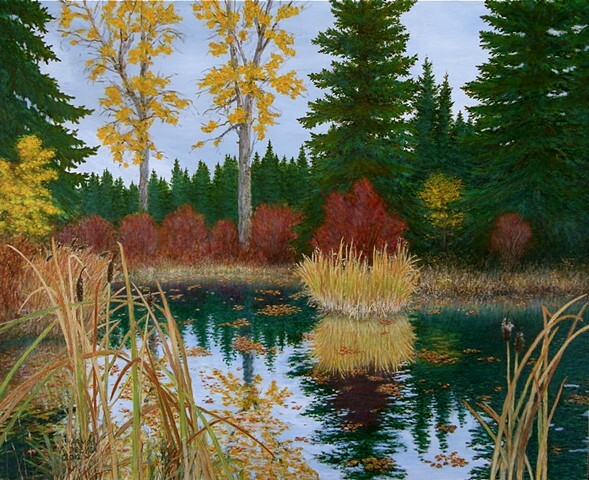 This is a small pond on the north side of Maiden Lake in Fernie. I was a partner in the company that constructed Maiden Lake and my wife and I laid out the shoreline of the pond. In my painting, I wanted to show how nature quickly beautifies a hole with no vegetation into a pond with bullrushes and ducks. Not for sale. Go to SHOP to purchase reproductions.